A drunk driver who reversed into a police car after being chased into a dead end and then attacked two officers has been jailed. Saddam Fareed, 28, was spotted driving dangerously in his Ford Focus by a passing patrol in Leyton in east London during the early hours of last May but he failed to stop. He sped off but cornered in a cul-de-sac, he slammed the car into reverse and ploughed into the police car behind him. Inspector Dan Tanner lent into Fareed’s open driver’s window to try and restrain him but was dragged into the car and punched repeatedly by Fareed. Fareed then had crashed into eight parked cars on the street trying to escape hitting a Special Constable who had been in the patrol car which left him hospitalised for five days. The car finally came to a stop and Fareed again repeatedly punched Inspector Tanner as he tried to put handcuffs on him. Reinforcements from the British Transport Police arrived and managed to subdue Fareed who then failed a roadside breathalyser. Fareed’s passenger Safeer Ahmed, 22, then tried to claim he had in fact been driving. Fareed of Forest Gate in east London pleaded guilty to drink driving, dangerous driving, assault on a police officer, actual bodily harm and criminal damage at Snaresbrook Crown Court last month. He was jailed for 33 months and banned from driving for four years. 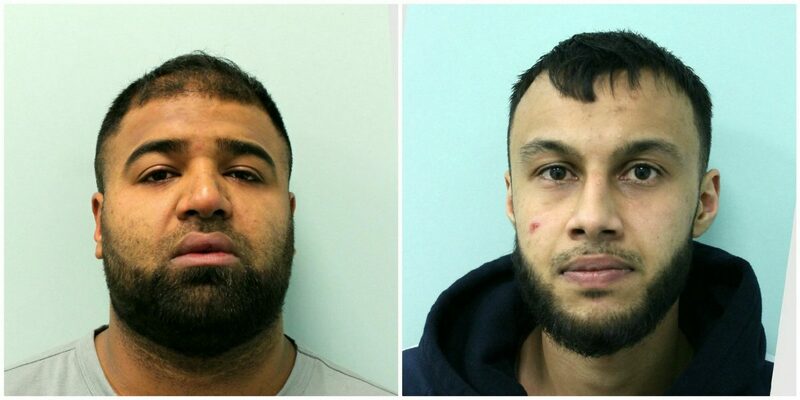 Ahmed also of Forest Gate was jailed for four months for perverting the course of justice by providing a false statement. Inspector Tanner said: “There is no excuse for drink driving, or for this level of mindless and dangerous violence. “In his drunken state Fareed posed a very considerable risk to the public. “He failed to pull over for police officers and made a determined and dangerous attempt to escape, with absolutely no regard for the destruction or injuries caused in the process.